Otis and the Alligators are one of the many fine barroom blues bands out of Wisconsin. They are fronted by the wailing harmonica playing and raw powered vocals of Otis McLennon. A typical Alligators' set features super tasty numbers, some old soul and R&B classics, and 12-bar saloon standards. 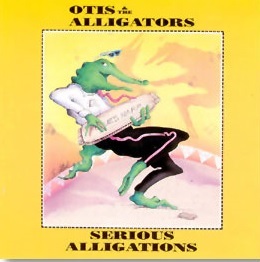 The fast, jangling guitar riffs enhance the many originals written by Otis. Of course, they feature Otis' deep, expressive harp sound and his hip, impassioned vocals, with lyrics about mistakes and regrets (packing a deep emotional impact). These guys offer a chance to swing to their energetic, heart-felt blues. We suggest that you do not miss this chance.